Getting your own car will give you the independence you need, but for a new driver the cost of insurance can be sky high. And the reason for this? 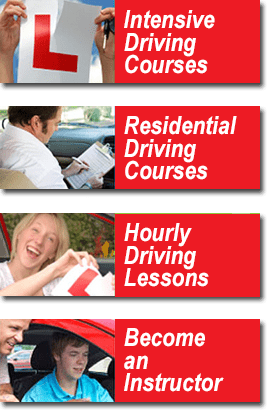 Statistics show that new drivers are more likely to have an accident in the first two years of passing their test than at any other time in their driving career. Age doesn’t matter – it’s basically down to a lack of driving experience. This is where PASS PLUS comes in – don’t worry, there is no test involved! At the end of the course you will receive a form that you can send off to receive your Pass Plus certificate. For just £180 for manual, or £189 for automatic, we can give you far more experience on today’s roads and as a reward for doing this many insurance companies will give you discount on your insurance. This discount is usually greater than the cost of the course, so not only will it improve your confidence and safety, as well as save some money too! PLEASE NOTE: some of these items will be discussed in theory format depending on the time of the year and the weather conditions at the time of the course. You can either do 2 hours one evening and the other 4 at another time, or all 6 in one go! Don’t worry a break is included for food and drink as well as to discuss some of the theory aspects of the course. Either send us an email to academybookings@gmail.com or fill out our booking form, remember to include the dates when you are available.